Campus began to stir earlier than usual Saturday morning. Students enthusiastically gathered in Hughes-Trigg, ready to perform community service in honor of Martin Luther King, Jr.’s birthday. The energetic group of volunteers came form every part of campus. Upperclassmen and underclassmen alike anxiously chatted, waiting to depart for their respective destinations. Days of service happen once a semester at SMU. 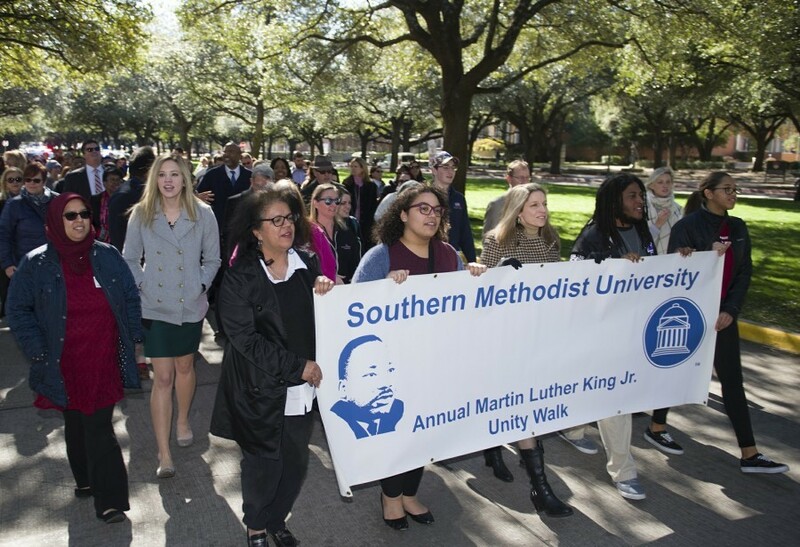 The Community Engagement and Leadership Center partnered with the Office of Multicultural Student Affairs, SMU Panhellenic, and SMU National Residence Hall Honorary to put this service day together and included a number of the area’s non-profits. Students chose from a wide variety of volunteer activities ranging from organizing clothing at Goodwill to farming in community gardens to working with animals at the SPCA. Clearly, something keeps bringing people back to the day of service. First-year Juliana Dinkle may have hit the nail on the head when it came to volunteering’s allure. “Giving back to my community has always been something that just makes me feel good. Seeing the joy I’m able to bring other people through volunteering at a soup kitchen or reading to low income children is really infectious. Volunteering makes me so much happier in the long run!” Dinkle said. With the minimal time commitment required to join the MLK Day of Service, there really was no reason not to do so. Running from 10:30 a.m. to 3:30 p.m., volunteers could enjoy incredibly fulfilling service for a fraction of their day and look forward to a free brunch provided to all volunteers. 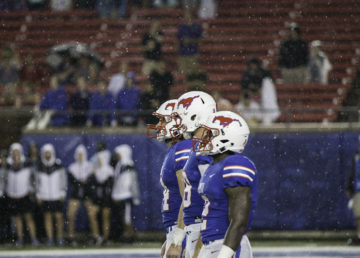 Students generally live in the “bubble” of SMU when on campus, not recognizing the larger social issues plaguing the community around them. Days of service such as this one help pop that bubble—just temporarily—exposing young men and women to the fulfilling world of volunteering, and bringing social issues front and center. Much of the chatter in Hughes Trigg prior to departure consisted of students wishing for more highly publicized volunteer opportunities, as many other residents on campus either have not heard of the days of service or pay them no attention. Through more publicity and increased buzz on campus around volunteership, the majority of students on campus may get involved in charity work in some way, shape, or form. Imagine what a group of over 6,400 impassioned young people could do in this community. 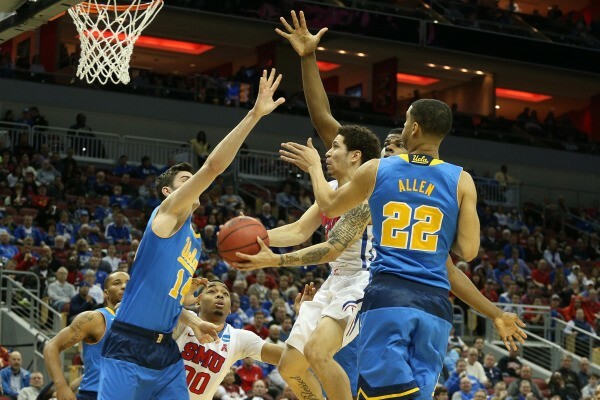 On the MLK Day of Service, SMU’s “World Changers Shaped Here” tagline becomes even more relevant. Guz accurately summed up the spirit of this day. “Martin Luther King Jr.’s legacy is an amazing source of inspiration and is especially important to remember going into 2017,” Guz said. 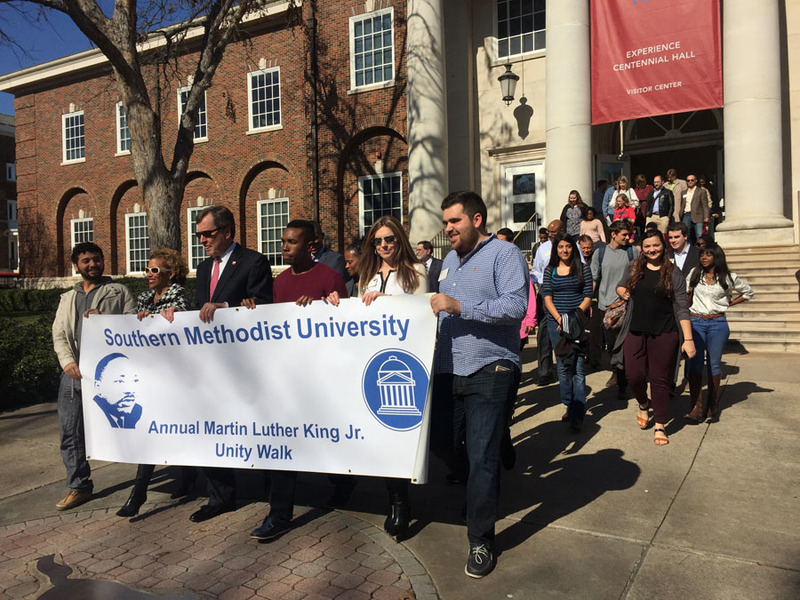 #Day of Service, Martin Luther King Jr.
World changing from within: How will SMU approach its Second Century?